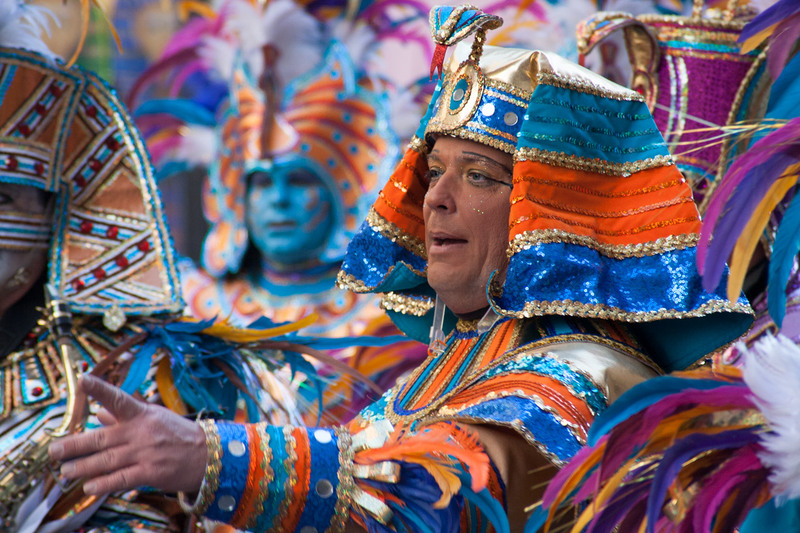 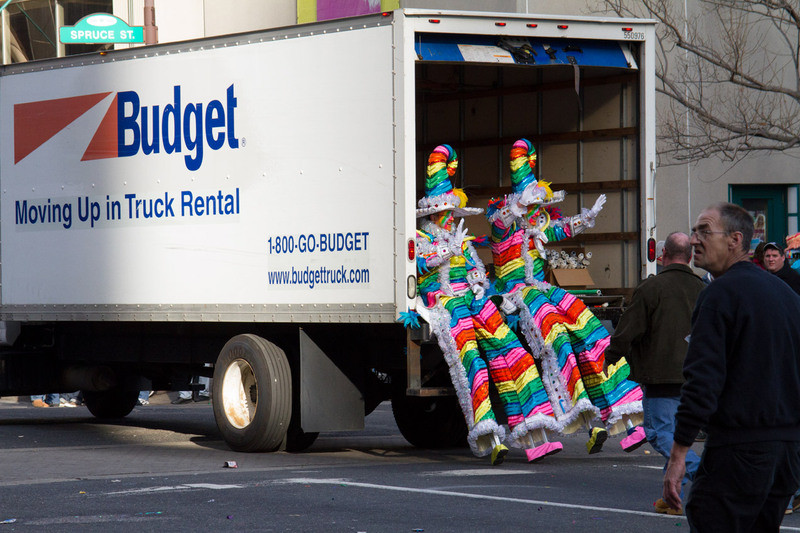 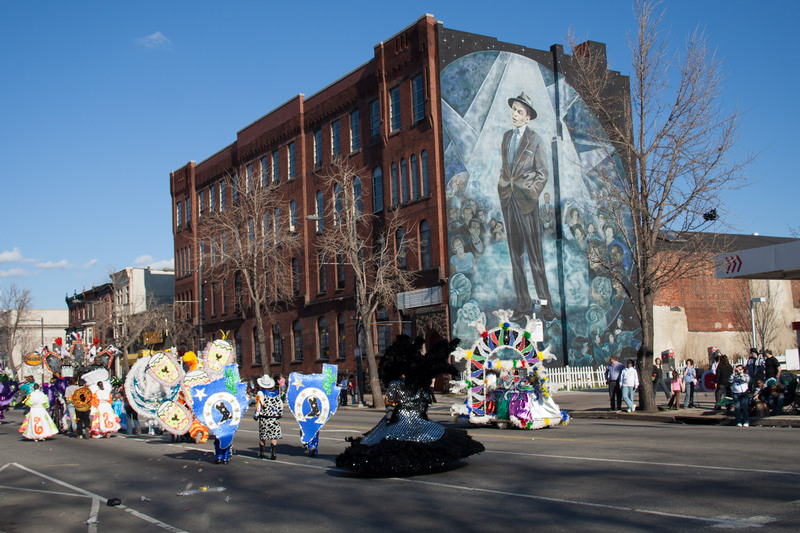 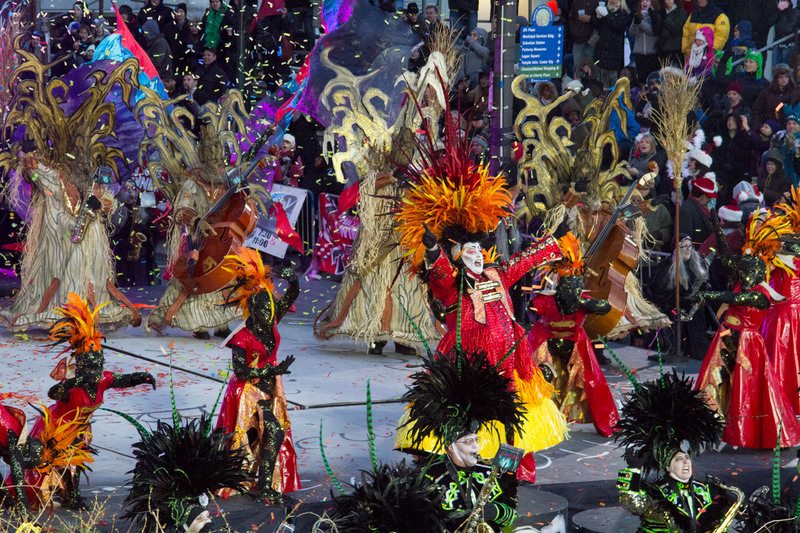 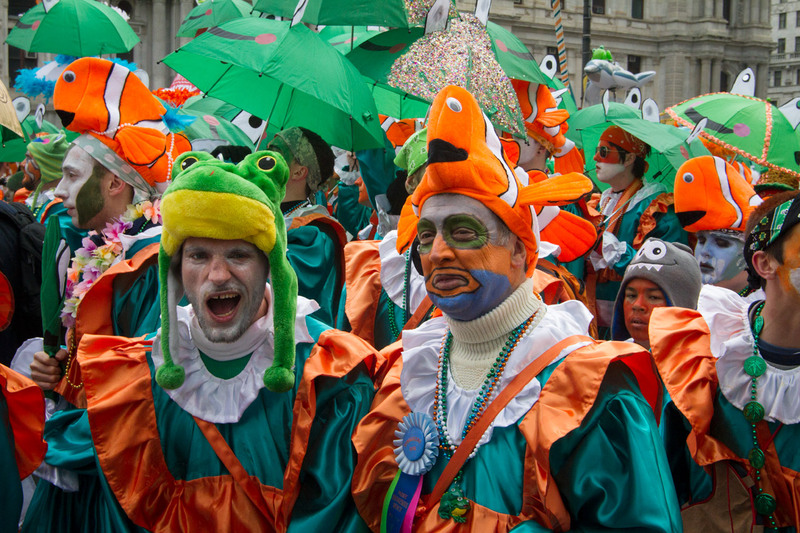 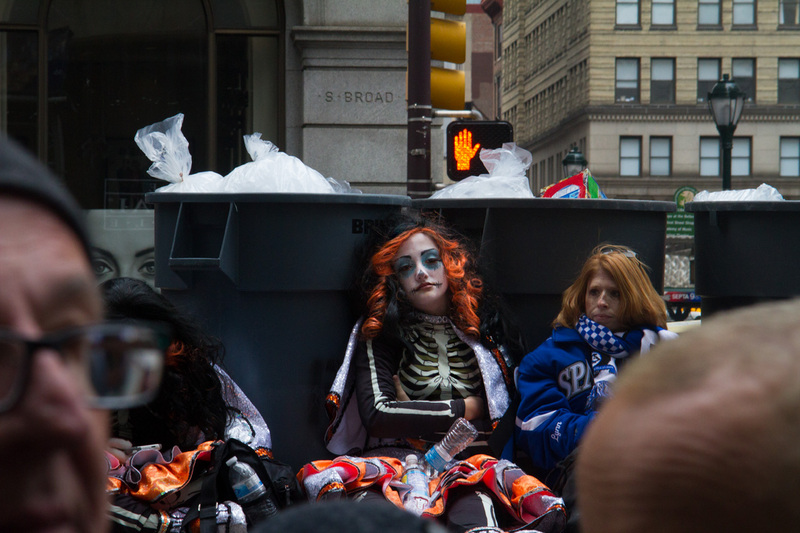 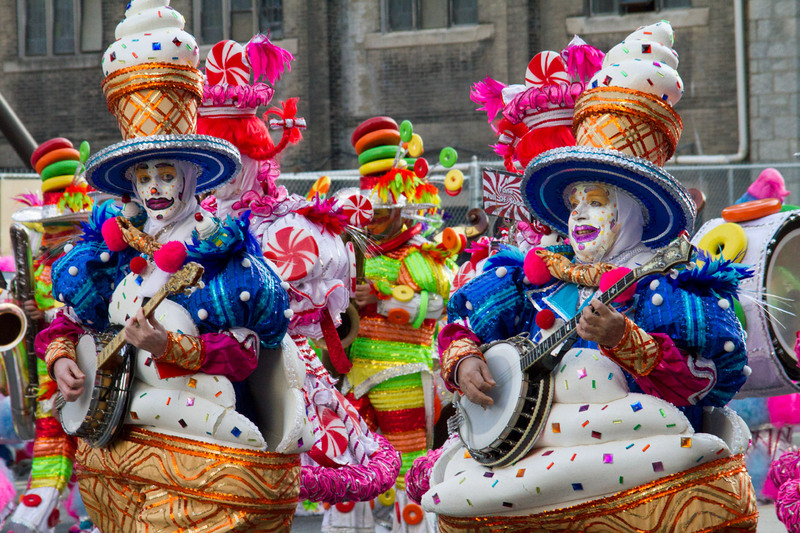 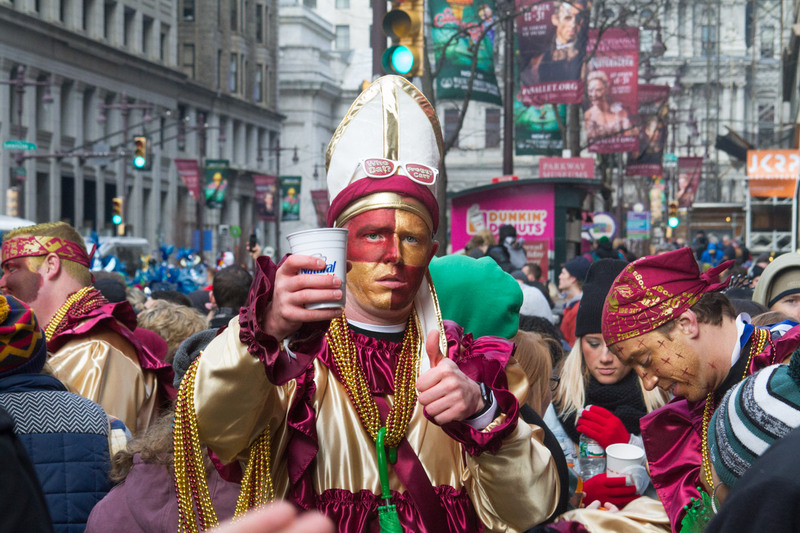 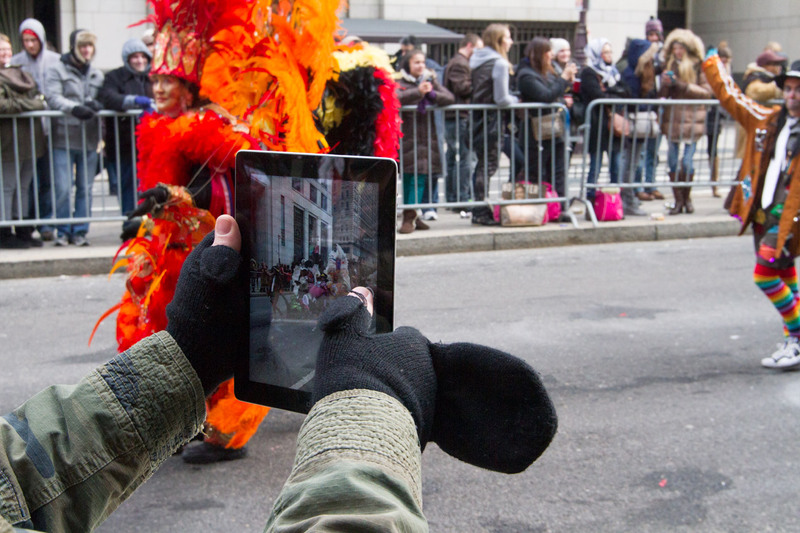 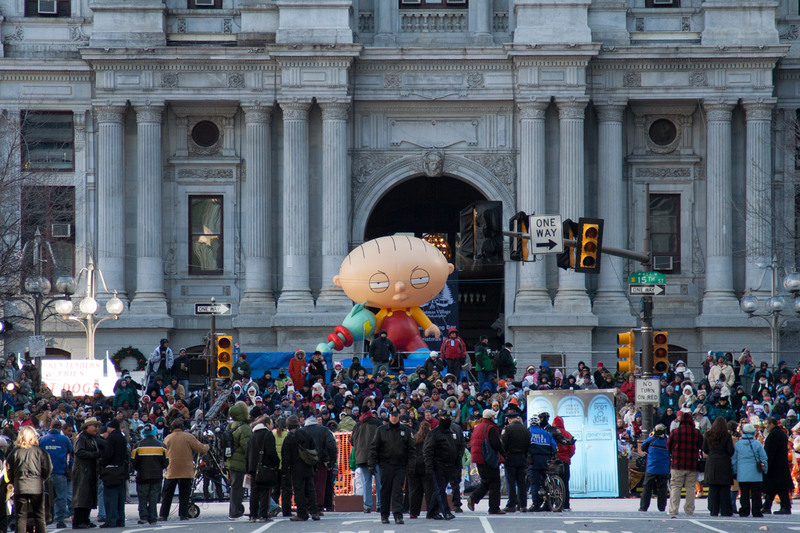 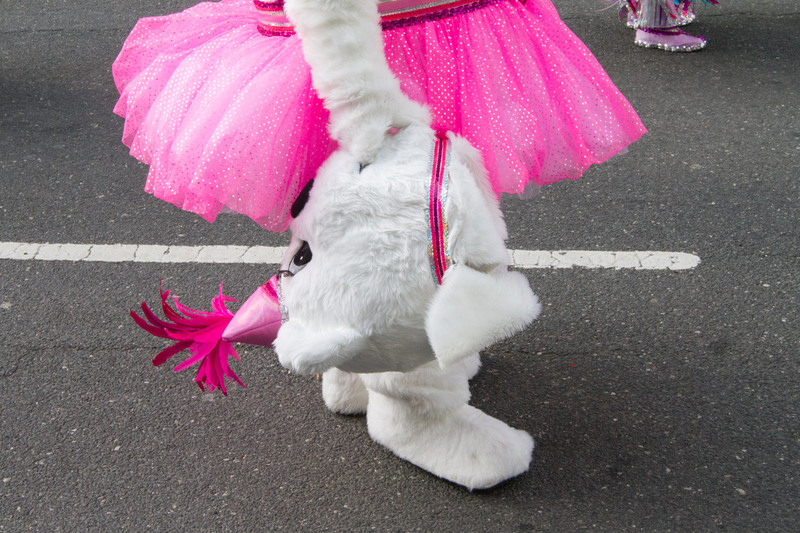 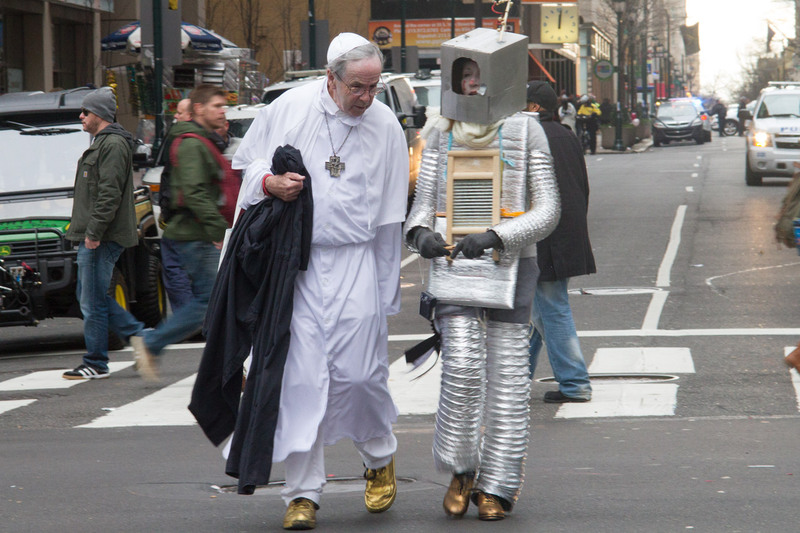 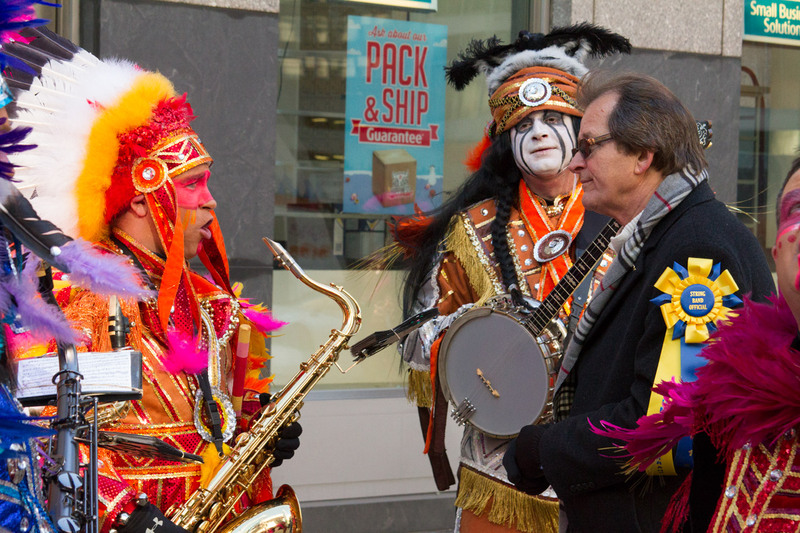 The Philadelphia Mummers parade is held every year on New Year’s day in Philadelphia. 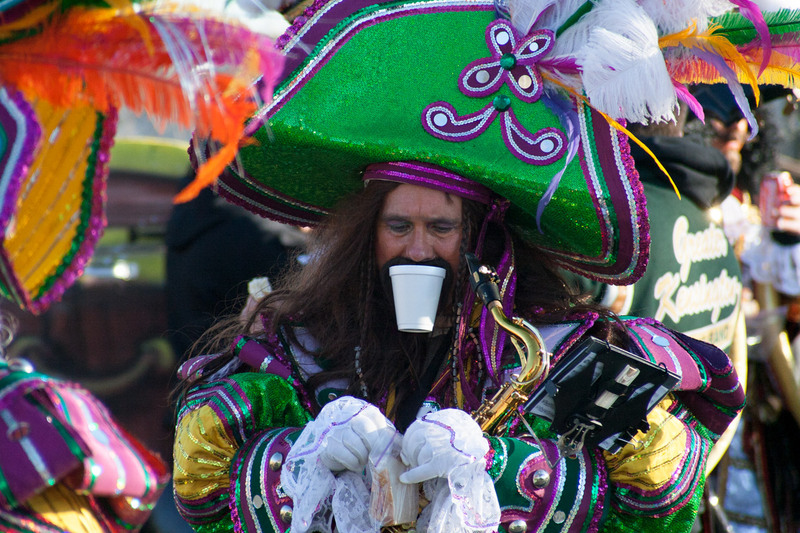 It’s a tradition over 100 years old and thought to be the oldest folk festival in America. 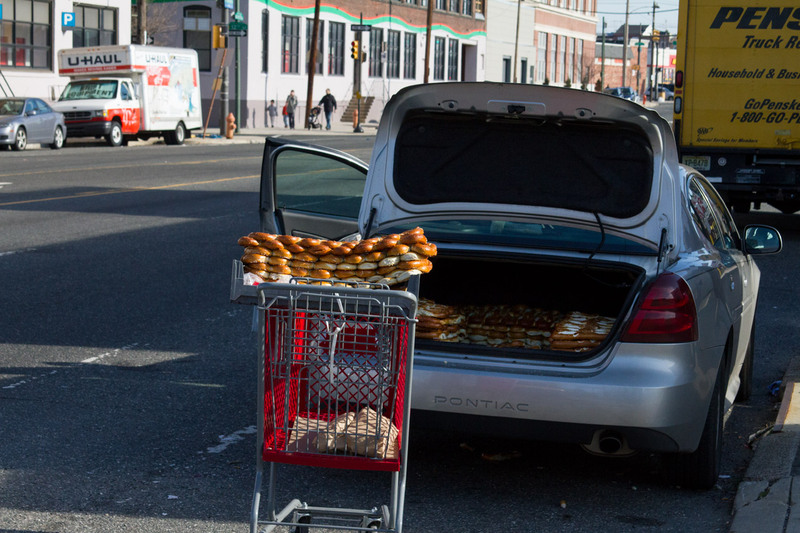 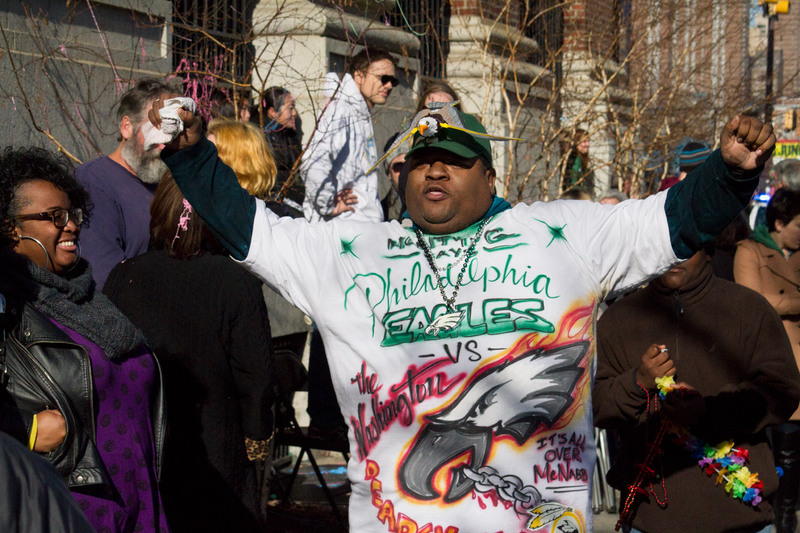 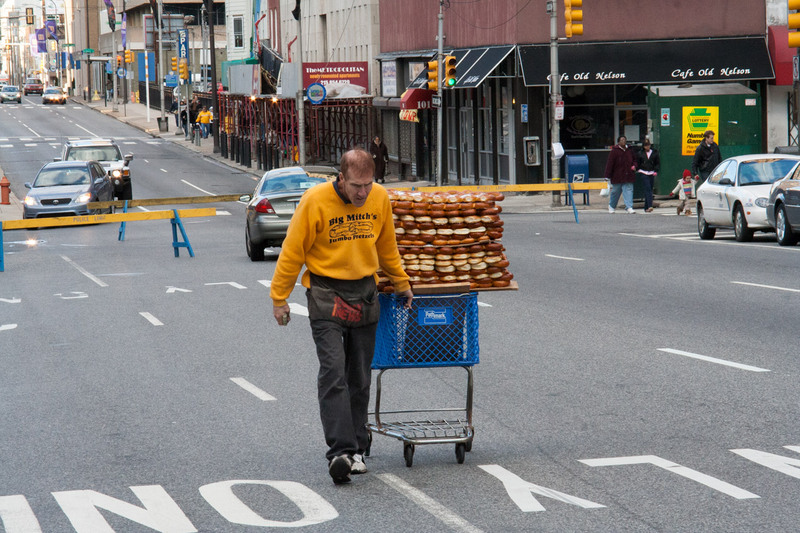 It's as Philly as cheesesteaks and the Liberty Bell. 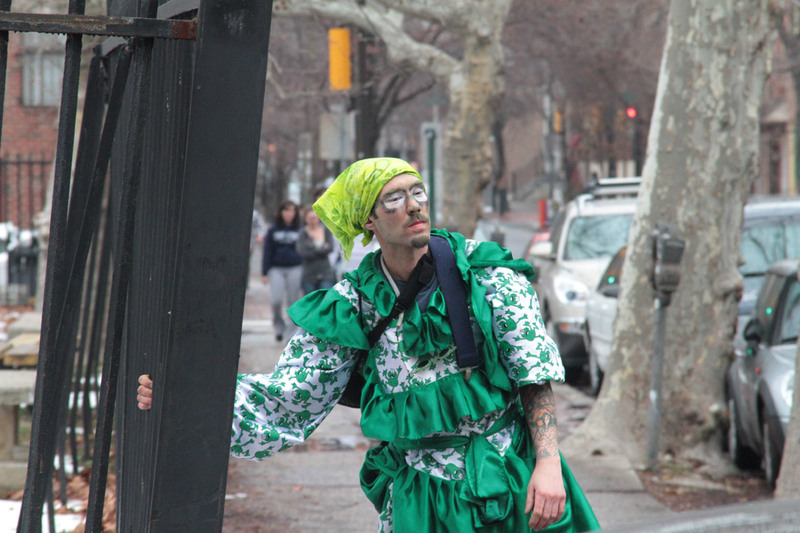 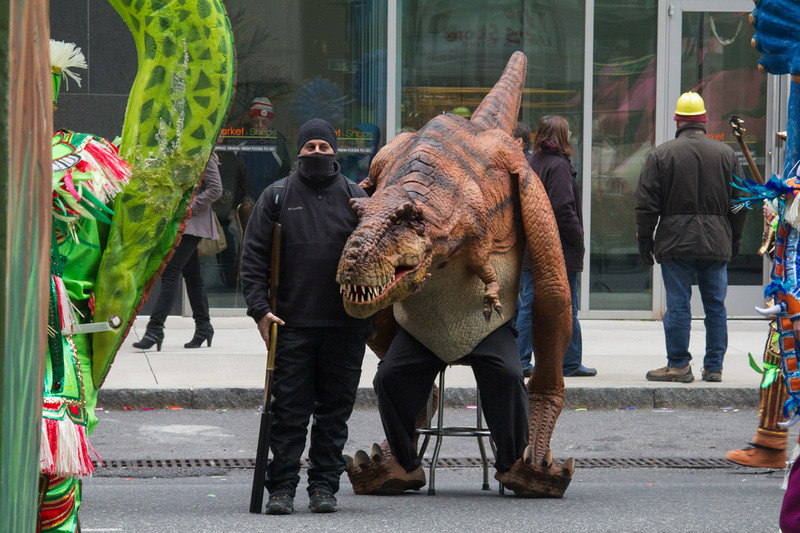 Local clubs strut down Broad Street in fancy dress with lively music. 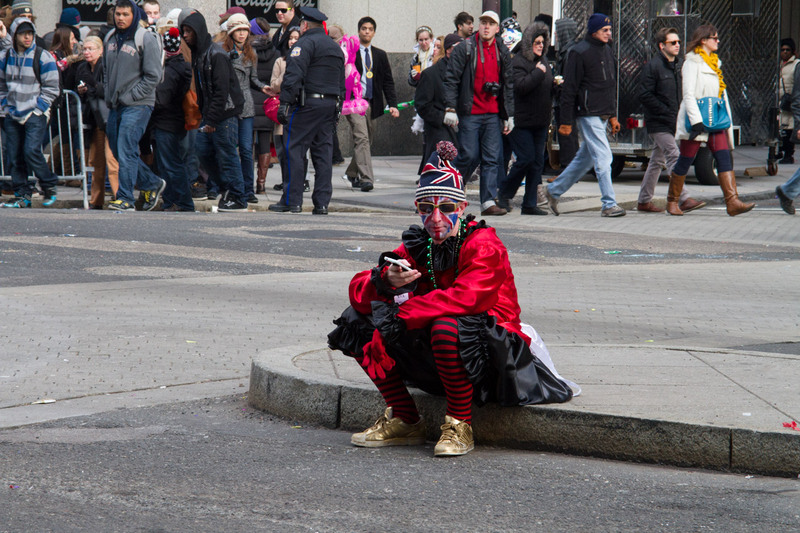 For people watching it is one of the best days of the year. 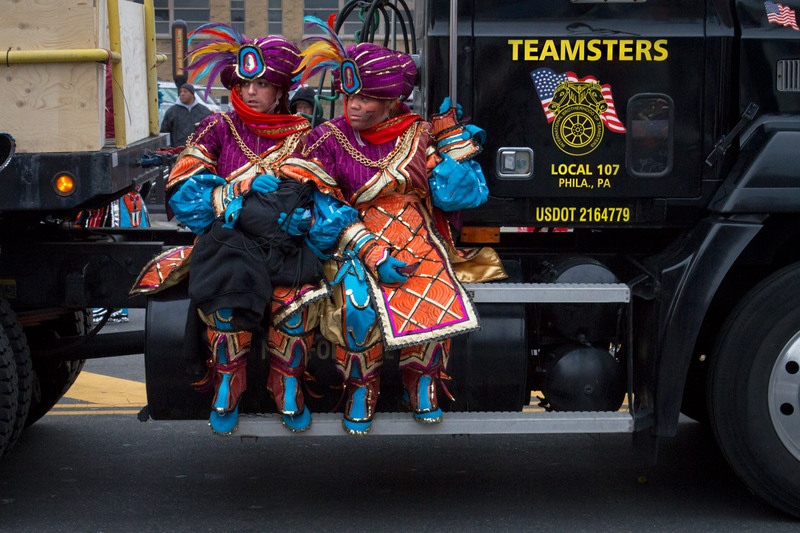 Most years I like to head down to the parade with my camera and wander around, seeing what I can see. 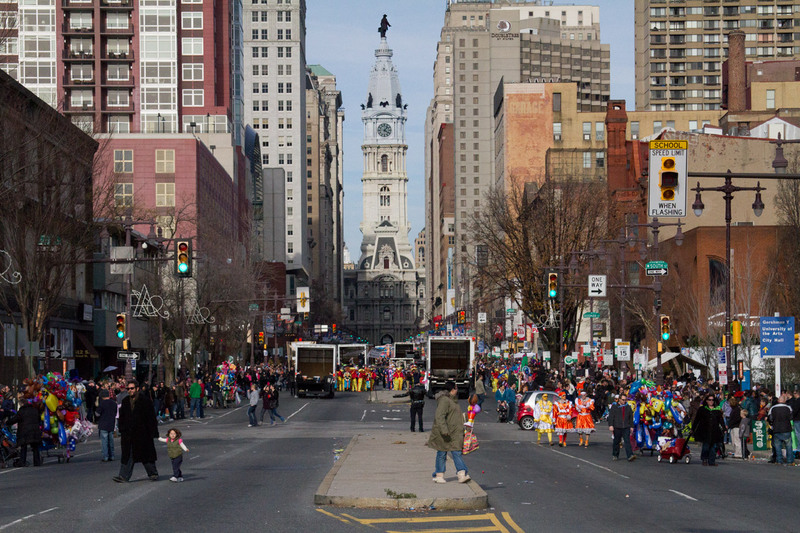 On the ends of the parade route things are usually more loose and you have access to walk in the street. 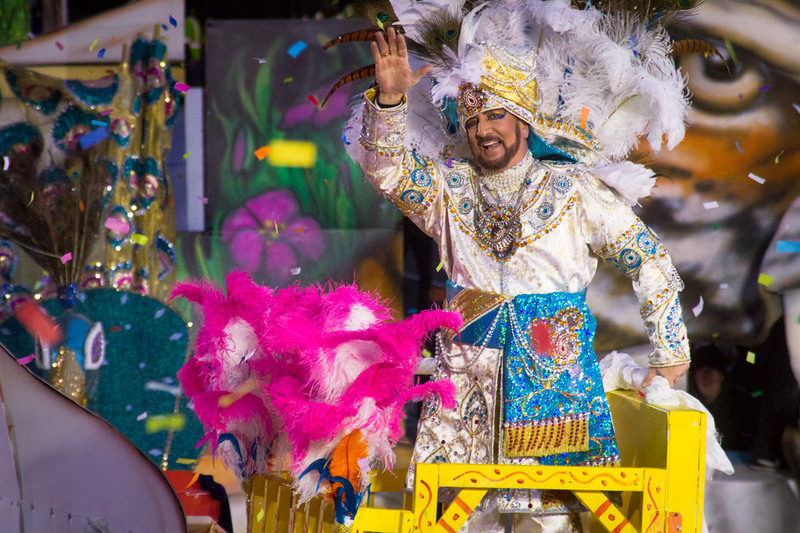 Closer to City Hall the clubs perform for judges, the police have more baricades in place, and things are more formal. 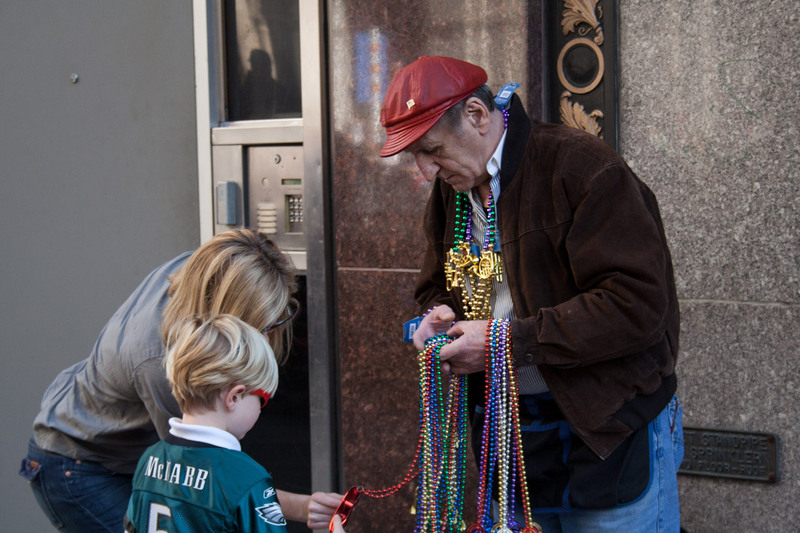 Year after year you see the tradition continue but evolve in small ways. 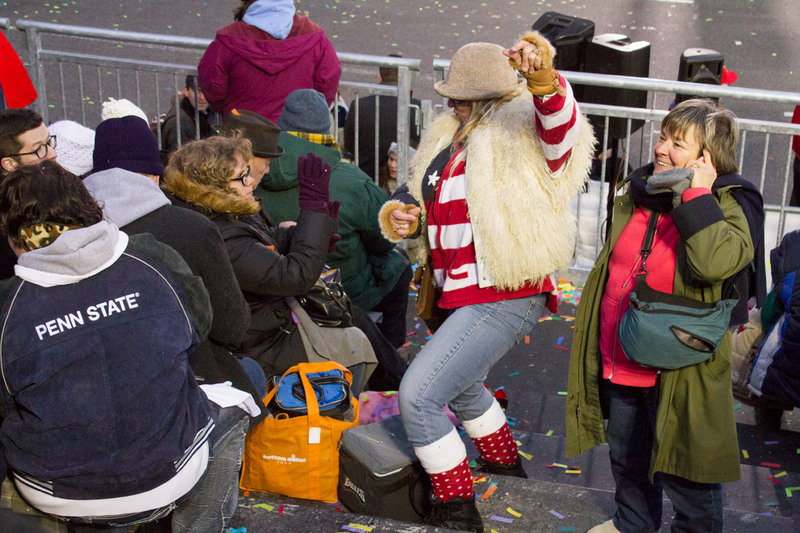 As individual clubs look to outdo their competiors it's like a glittery sequin arms race. 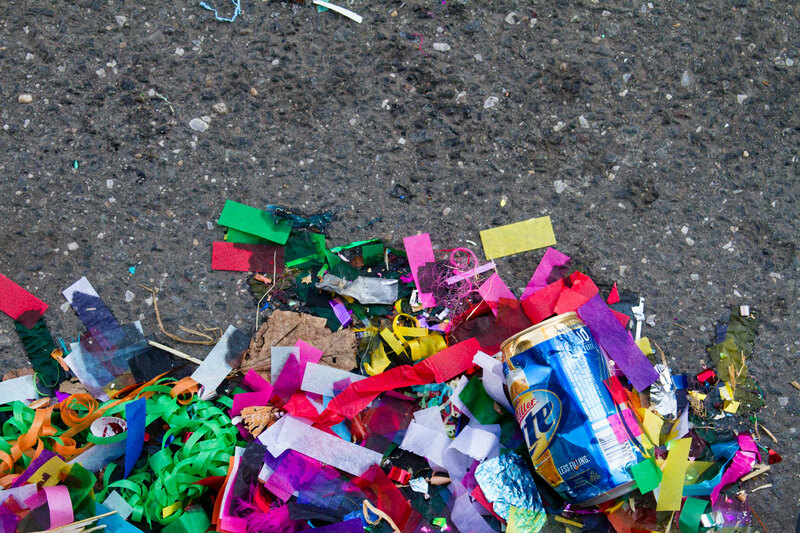 One club innovates with confetti guns, another club gets rolling flat screen televisions. 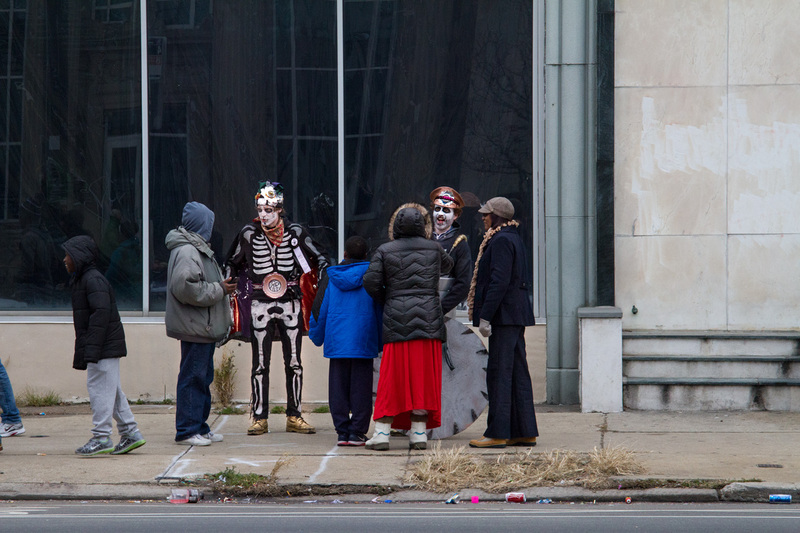 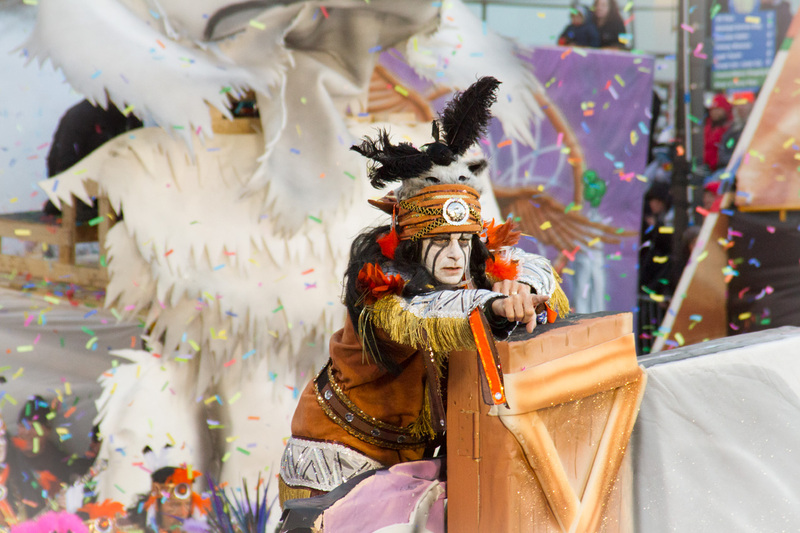 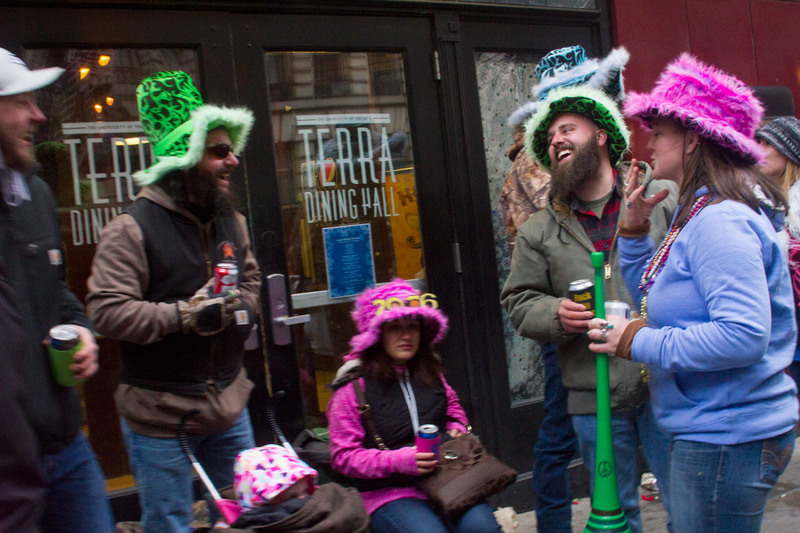 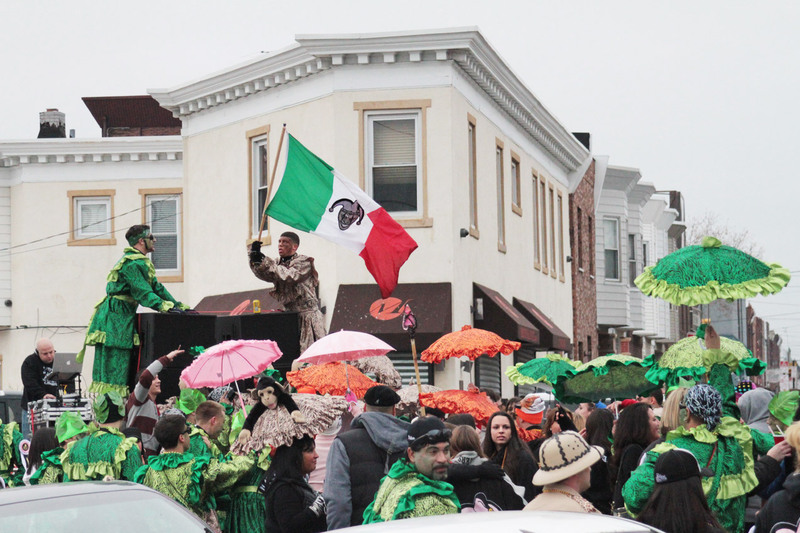 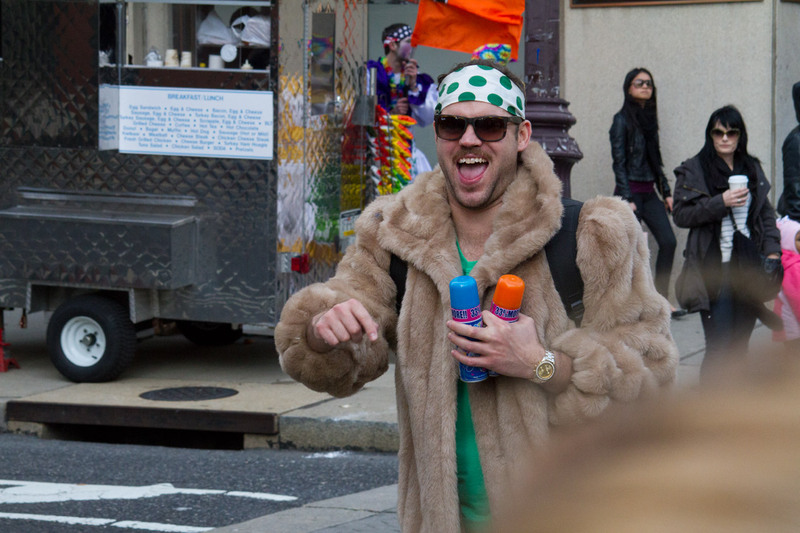 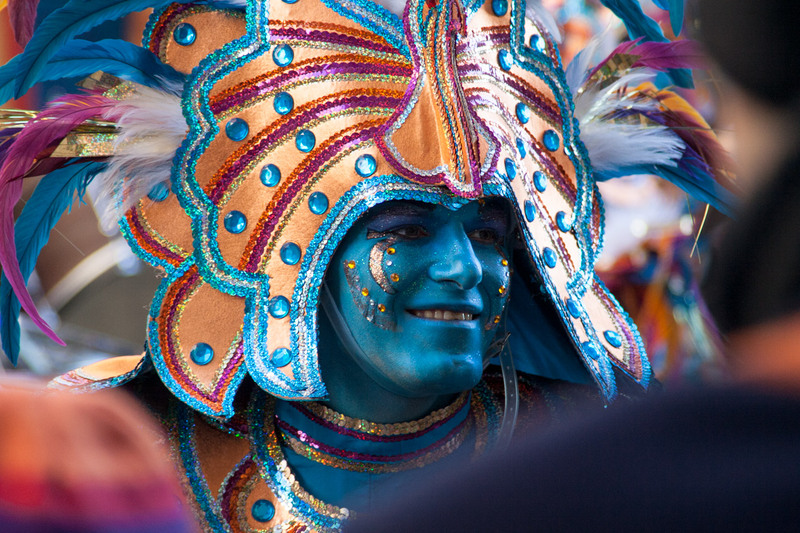 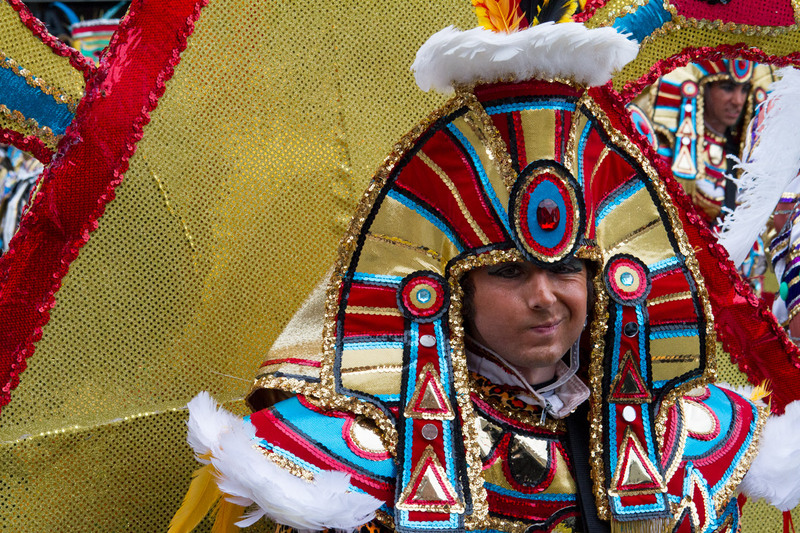 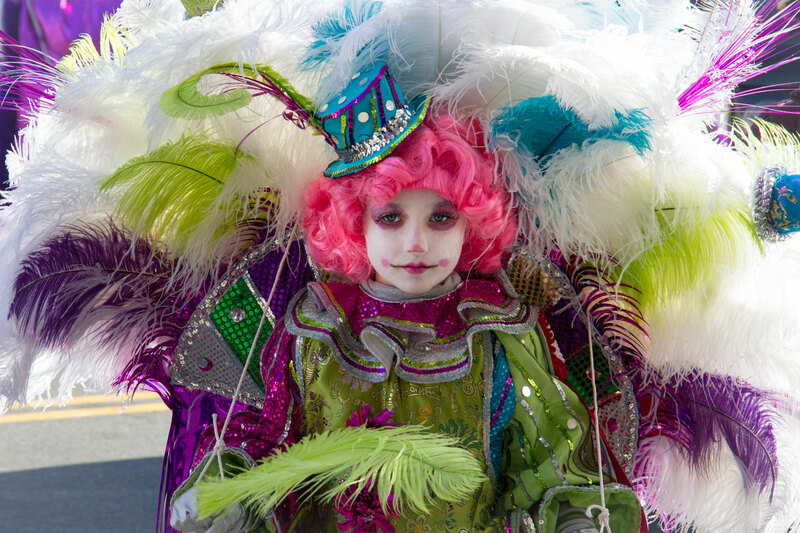 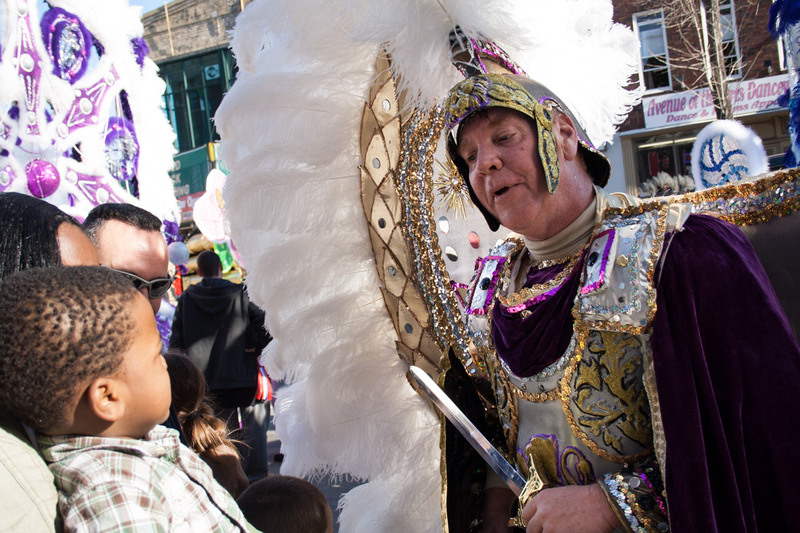 Still, behind all the glitter and face paint the Mummers Parade is a fun annual tradition that brings people together. 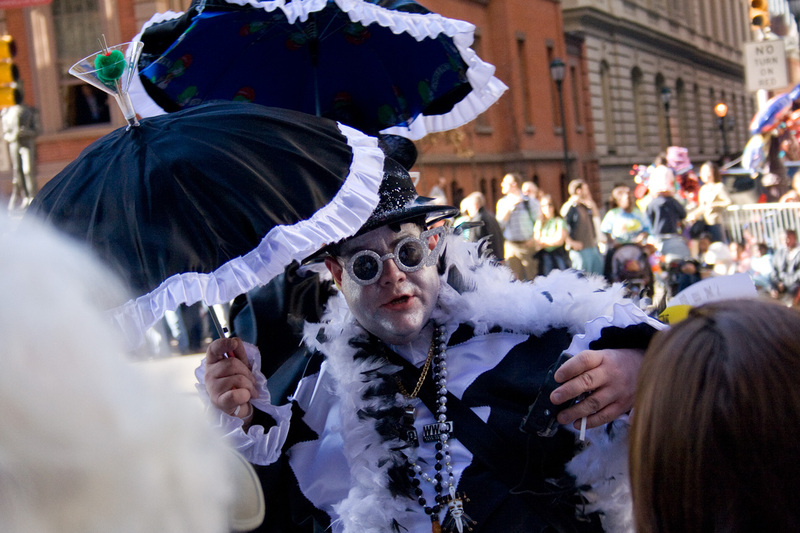 From the working class to the high-society of the Union League, from young to old.